The 32-year-old will be available for the Renegades’ final seven regular season matches, starting with a home clash against Brisbane Heat on Sunday 13 January. 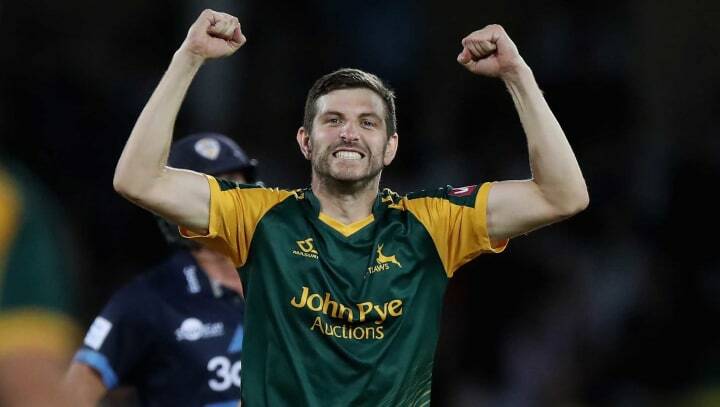 Gurney has won his inaugural BBL contract having topped 20 wickets in each of the last two domestic T20 campaigns in England; the only player to have achieved the feat in both 2017 and 2018. He produced finals day heroics at Edgbaston in 2017, taking 7-36 across the two fixtures as the Outlaws lifted the trophy for the first time. With each team allowed to select no more than two overseas players, Gurney is one of just six Englishmen to have secured a contract for this year’s competition to date. Tymal Mills (Hobart Hurricanes), Joe Root & Jos Buttler (Sydney Thunder) and David Willey (Perth Scorchers) will also be involved in the tournament, which attracted an average attendance of 26,000 per game in 2017/18. The Nottinghamshire left-armer will once again share a dressing room with his T20 captain at the Outlaws, Dan Christian, who was announced by the Renegades on a three year contract back in May. “I’m really excited to show my skills in the Big Bash and I can’t wait to get going with the Melbourne Renegades,” said Gurney.